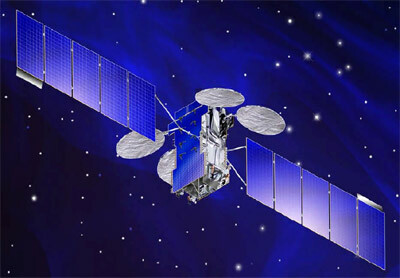 Lockheed Martin has been awarded in April 2009 a multi-million dollar contract by SKY Perfect JSAT Corporation (SKY Perfect JSAT) of Japan to build its next geostationary communications satellite. Designated JCSAT-13, the satellite was launched in 2012. JCSAT-13 will feature an all Ku-band payload incorporating 44 fixed high-power communication channels that will provide uplink and downlink coverage over Japan, Asia and Oceania. Additionally, two steerable antennas provide coverage for new and emerging markets as well as quick response coverage, spanning the visible Earth from the orbital slot to cover a geographic area upon short notice and, depending on capacity requirements, providing multiple transponders in each steerable beam. Extensive on-board switching allows for payload reconfiguration capability on orbit, allowing efficient use of the frequency plan. The spacecraft will be located at 124 degrees East longitude to replace JCSAT-4A (JCSAT-6). JCSAT-13 is required to meet a 15-year service life and will be integrated on the highly reliable A2100AXS platform. Originally, JCSAT-13 was to be launched in 2013, but the company accelerated the plan to launch it in late 2011 nearly two years ahead of the original schedule. But due to launch vehicle scheduling problems, the launch slipped again to 2012.